Creekstone is challenging USDA’s claim that it has the legal authority to control access to and the use of the “test kits” needed to perform BSE testing. Over the past two years, USDA has repeatedly denied Creekstone’s requests to conduct voluntary BSE testing. Creekstone Farms has publicly stated that it believes U.S. beef is safe. Nevertheless, Creekstone’s customers, as well as other beef consumers around the world, want beef from BSE tested cattle. For example, a December 2005 poll by the Kyodo News Service found that more than half of Japanese consumers want U.S. beef to be tested for BSE. Creekstone simply wants to satisfy its customers. The suit was applauded by consumer groups. But USDA, which persuaded Japan to drop its own universal testing program, opposes private testing of cattle. Mad cow incubates for years, USDA says, and "is not detected in young animals," the bulk of the 35 million head of U.S. cattle slaughtered for meat each year. Mad cow is always fatal in cattle. People can contract a deadly human version of the disease by eating contaminated meats. No U.S.-origin cases are known. USDA says its tests show a low incidence of mad cow disease, formally named bovine spongiform encephalopathy, in America. Three cases have been found since December 2003. Good for Creekstone Farms Premium Beef for understanding what's at stake. The Mad Cow issue is as much of an economic one as a health one, and they get that clearly. From a free market standpoint, it makes sense for a beef distributor to want to be able to label their product as "tested for BSE". Not only would it help the consumers from a health aspect, but it would also be a boon for them financially. USDA developed and implemented a framework—with federal and state agencies, land grant universities, and industry—that effectively focused national attention on ASR in 2005 and helped growers make informed fungicide decisions. The framework was effective in several ways. For example, sentinel plots—about 2,500 square feet of soybeans or other host plants planted early in the growing season in the 31 soybean-producing states—provided early warning of ASR. Officials in 23 of 25 states GAO surveyed reported that this effort was effective. Researchers could also promptly identify and report on the incidence and severity of the disease on a USDA Web site, alerting officials and growers to ASR’s spread. Going forward, however, differences in how researchers monitor, test, and report on the disease could lead to incomplete or inaccurate data and detract from the value of future prediction models. For example, models to forecast ASR’s spread partly rely on states’ observations of sentinel plots. USDA asked states to report results weekly, but updates ranged from 4 reports, in total, during the growing season in one state to 162 reports in another state. Inconsistencies also occurred in the designation and placement of plots and in the testing of samples for ASR. Further, changes to the successful management approach employed by USDA in 2005 raise questions about how the program will perform in 2006. For 2006, most operational responsibility for ASR will shift from USDA headquarters to a land grant university. GAO is concerned that USDA’s lack of a detailed action plan describing how program responsibilities will be assumed and managed in 2006 could limit the effectiveness of ASR management for this year. In a link from The Common Voice, I read about the American Dietetic Association's recent web page promoting low-fat ice cream with the advertising slogan, "We All Scream for Ice Cream." Can you imagine a worse message of unrestrained frenetic consumption of a high-sugar dessert? The conventional wisdom in dietetic circles is that, for many people, a zero-tolerance message for favorite desserts is unwise, but that a message of moderate portions and reduced frequency within a balanced diet is compelling and effective. In this weblog, I am a disciplined and obedient follower of this lesson from my dietetic colleagues. But really -- "We All Scream for Ice Cream"? The ADA web page says this ad was produced by the "ADA Public Relations Team." This raised several questions, which I sent on March 9 by email to the media email address on the ADA site (links added). 1. Could you please tell me if any funding from the dairy industry, the fluid milk or dairy checkoff boards, or the federal government, helped support the new ADA web page entitled, “We All Scream for Ice Cream”? 2. Could you please say if there was any assistance from the above groups in suggesting the messages or composing the language in that web page? 3. Can you please explain who is the “ADA Public Relations Team,” mentioned in the web page? If there was no support from the dairy industry, who pushed this message, and why on earth? I apologize for the loaded questions. But I simply cannot believe that the ADA policy on its own would be to promote a high-sugar dessert with such a strident marketing message. The ADA’s role in positive nutrition health promotion is extremely important in the current U.S. food policy environment. I have read the ADA ethics policy, and this is setting off my alarm bells. 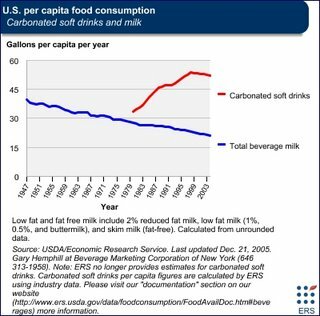 I contacted you a while ago about the web page on dairy weight loss, which is inconsistent with the Federal Government's dietary guidelines. It claimed you could lose weight “without depriving yourself” on a high calcium high dairy diet. 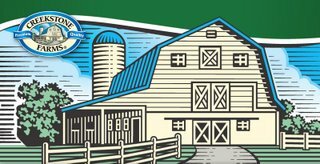 At that time, your office acknowledged by email that it was written with support from the Milk Processors Education Program. Has that page been removed? Would that page now be consistent with your ethics policy? Please take this respectful query seriously – it is not frivolous criticism or harangue. Please let me quote from your response in future writing. Comments are open to all. Please consider contacting the American Dietetic Association, or leaving a comment here, especially if you are a member. In the new Winter 2006 issue of Gastronomica, Yale's Ellen Fried reviews A Cow's Life by M. R. Montgomery. Montgomery dishes out a bovine stew heady with chunks of history and liberally seasoned with dashes of etymology. From Stone Age caves to cattle bones ringing the pyramids, from Chinese pictographs meaning “supercow” to the cattle wealth origins of “pecuniary,” and from Spain’s corridas to Scotland’s grassy moors, the point is driven home that without cows life could not have evolved as we know it. 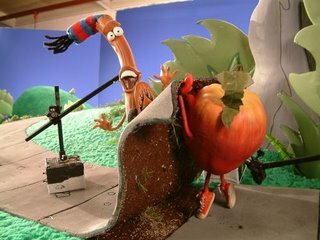 The Children's Advertising Review Unit (CARU) of the Better Business Bureau last month recommended (.pdf) that Kellogg Company discontinue a campaign of children's advertisements for Apple Jacks, in which a "Bad Apple" is the villain and the hero "CinnaMon" loves Apple Jacks. This recommendation from the advertising industry's self-regulatory body is advisory, not mandatory. The recommendation carries no penalty for the offending company. After running the advertisements for months, Kellogg Company now says it has no plans to run them in the future. The company statement left open the possibility of changing the plans at a later date. Despite the painless sanction for a widely criticized campaign, the company complained about CARU's decision: "While Kellogg disagrees with the conclusions CARU reached in the decision and how it arrived at those conclusions, Kellogg fully supports the self-regulatory process." Here is the Chicago Tribune's Andrew Martin reporting in October, describing the advertisements. Kellogg's is trying to convince kids that Apple Jacks taste more like cinnamon than apples. The cereal-making giant has created a Jamaica-like cartoon world called Cinna Island, part of a television and Internet advertising campaign that depicts a laid-back, skateboard-riding character named CinnaMon who extols the "sweet cinnamon taste" of Apple Jacks. CinnaMon's foil is a grouchy, scheming "Bad Apple" who tries - and inevitably fails - to beat CinnaMon to a bowl of Apple Jacks. "Apple Jacks doesn't taste like apples because the sweet taste of cinnamon is the winner, mon," one ad concludes. Field Maloney at Slate has a weak argument about the Whole Foods chain, in a column titled, "Is Whole Foods Wholesome?" (link from Division of Labor). The exaggerated subtitle is, "The dark secrets of the organic-food movement." In the produce section of Whole Foods' flagship New York City store at the Time Warner Center, shoppers browse under a big banner that lists "Reasons To Buy Organic." On the banner, the first heading is "Save Energy." The accompanying text explains how organic farmers, who use natural fertilizers like manure and compost, avoid the energy waste involved in the manufacture of synthetic fertilizers. It's a technical point that probably barely registers with most shoppers but contributes to a vague sense of virtue. Fair enough. But here's another technical point that Whole Foods fails to mention and that highlights what has gone wrong with the organic-food movement in the last couple of decades. Let's say you live in New York City and want to buy a pound of tomatoes in season. Say you can choose between conventionally grown New Jersey tomatoes or organic ones grown in Chile. Of course, the New Jersey tomatoes will be cheaper. They will also almost certainly be fresher, having traveled a fraction of the distance. But which is the more eco-conscious choice? In terms of energy savings, there's no contest: Just think of the fossil fuels expended getting those organic tomatoes from Chile. The truth is that the alternatives to the conventional food system offer a wonderful selection of options to satisfy your health and environmental principles. Depending on which principle you prioritize, you can select the appropriate option. If you want an abundance of healthy fresh colorful organic produce in a picture-perfect appetizing display, then go to Whole Foods, Wild Oats, or a similar upscale health food retailer. If you want to eat organic food from Whole Foods and Wild Oats, but are price sensitive, you can make only a small purchase at that display of fresh produce, and then load up more heavily from the affordable legumes and grains at the bulk foods section. If you care more about reducing the energy footprint of food you buy, or about supporting local agriculture, you can find food at Whole Foods or Wild Oats specially labeled as coming from local farmers (Maloney is correct that "organic" does not automatically mean "local," although he overstates the degree to which that is a problem). If you want local produce in season, not bulk foods, and are too price sensitive for Whole Foods and Wild Oats, go to your fine local or regional source of cheap fresh produce (for example, many low-key farmers' markets, or major wholesale produce markets in big cities). You see where I'm going with this. No matter what your goal, you can find the right place to shop -- and chances are, if you a person of principle, you can do better than the traditional supermarket format. If you want all of the above, organic, local, low energy use, low price, attractively and professionally displayed, produce (not just legumes and grains), at all times of year, that is fine too. I am sure you can find what you are looking for back on your home planet. It's less about food policy in the United States, and more about the world at large, but I can't help linking to the photography site of my friend Jim Stipe. He is currently in Pakistan and available for freelance jobs. 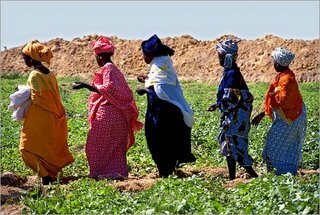 Here are some farmers in Senegal inspecting their crops, following a ceremony for a new irrigation system. The excellent Foodlinks America newsletter this week covers recent federal budget news for food and nutrition assistance programs. The annual budget process is underway in Congress, with the Senate completing work on a Budget Resolution for fiscal year 2007 on March 16, 2006 after a week-long debate. The final budget plan diverges significantly from President Bush’s proposed budget unveiled last month. Floor amendments added $16 billion in additional spending for social, low-income energy, and job safety programs above the Administration’s proposed ceiling. Throughout the budget process in the Senate, there was little enthusiasm, even among Republicans, for further cuts in domestic program budgets, with key members of Congress rejecting President Bush’s call for more reductions in Medicare and other benefit programs. Less than two months have passed since Congress narrowly approved (by two votes in the House and a tie-breaking vote in the Senate) a budget reconciliation bill that cut entitlement programs by nearly $40 billion over the next five years. In spite of a burgeoning federal deficit that will increase by over $1.2 trillion in the next 10 years if the President’s plan is enacted, members are hesitant to trim spending any further. Gregg garnered little support this year in devising a second budget-cutting bill. “I went to the chairmen of the committees which were responsible for reconciliation and all of them felt that in this climate it would be very difficult for them to do that,” Gregg noted. Consequently, he termed the process of developing a non-binding 2007 Budget Resolution a “vanilla exercise” that ignores most of the President’s controversial cuts in this election year. On the Senate floor, Iowa’s Harkin also successfully teamed up with Senator Arlen Specter (R-PA), chair of the Labor-Health and Human Services-Education Appropriations Subcommittee, to add $7 billion in funding for discretionary programs under their jurisdiction, such as Head Start, meals on wheels, and the Community Food and Nutrition Program. “Health and education are the two major capital assets of this country,” said Specter. His colleagues generally agreed with him and approved the additional spending by a vote of 73 to 27. However, the final vote on the overall Budget Resolution was close, with the bill passing by a 51-49 vote. The newsletter has much more, and is free. To subscribe contact Barbara Vauthier (bvauthier at 281 dot com). (Washington, D.C.) March 15, 2006 – Eight key federal nutrition programs reach a significant number of low-income children and adults and respond effectively to changes in need caused by disasters as well as economic downturns. Still, they are leaving major gaps for vulnerable people in every state, according to the Food Research and Action Center (FRAC) annual report, “State of the States: A Profile of Food and Nutrition Programs Across the Nation (pdf).” Moreover, some of the President’s budget cut proposals would widen those gaps. I went to Quizno's today. 19-MARCH-06. No Nutrition Information. They told me to go to their web site. I did. NO NUTRITION INFORMATION! So, I e-mailed them, although I doubt it will do any good. I won't eat there again if I can't get some information about their sandwiches. My whole family really enjoys them, but they will lose business if they can't (or won't) accomodate the "healthy conscience" society we live in. I did notice they have a link at the very bottom of one page, that has nutrition facts, when you click the link there are 3 (count 'em), T-H-R-E-E of their numerous sandwiches listed with nutrition facts. Thanks for your blog. This weblog got started on Quiznos, because the public policy considerations go a step beyond the non-disclosure of other restaurant chains. The federal government's beef checkoff board -- sponsors of the slogan "Beef. It's what's for dinner" -- helped Quiznos to promote what appears to be an immense high-calorie high-saturated-fat sandwich, the Quiznos Steakhouse Beef Dip Sub. It is not just about a private company making its own recalcitrant marketing decisions. It is about the federal government pressing us to eat more of a particularly unpromising product. Unlike Quiznos, the Subway restaurant chain appears to provide great nutrition information on its website. When I started focusing on Quiznos last year, I was new to weblogging, and thought that a little exposure would prompt a response. Surely a corporation must respond to consumer demand! But the Quiznos website still includes nutrition facts information only for the same token healthy sandwiches, and the same web link for sending your comments to Quiznos. With apologies to the regular readers, who have seen this topic before, I will keep pressing this issue. It would be wise for Quiznos to bend. If the company just once discloses its full line of nutrition facts information on its website, or sends the facts to us to share, I will lay off Quiznos for a year and start on another restaurant chain. Would you like to join the walking team of the Friedman School of Nutrition at Tufts, at the annual Walk for Hunger in Boston? All are welcome. 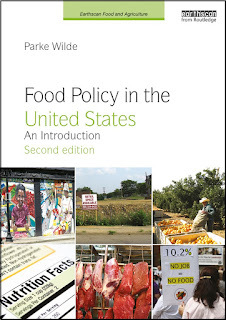 U.S. Food Policy received a nice mention this month in Michele Simon's Informed Eating publication on the West Coast, which has been a resident of our sidebar from the beginning. The main article this month is an interview with attorney Richard Daynard about the similarities between food politics and tobacco politics. The Fast Food News weblog links to an anti-McDonald's video game. Twenty-nine states and the District of Columbia exempt most food purchased for consumption at home from the state sales tax. New Mexico is the state that most recently eliminated its sales tax on food. Five states tax groceries at lower rates than other goods; they are Illinois, Missouri, Tennessee, Virginia, and West Virginia. A sixth state, Utah, will reduce its sales tax on groceries effective January 1, 2007. Six states — Hawaii, Idaho, Kansas, Oklahoma, South Dakota, and Wyoming — tax groceries fully but offer credits or rebates offsetting some of the taxes paid on food by some portions of the population. These credits or rebates usually are set at a flat amount per family member. The amounts and eligibility rules vary, but may be too narrow and/or insufficient to give eligible households full relief from sales taxes paid on food purchases. For more details on food tax exemptions and credits, see Nicholas Johnson and Iris J. Lav, Should States Tax Food? Examining the Policy Issues and Options (.pdf), Center on Budget and Policy Priorities, May 1998. Altria, Phillip Morris, Nickelodeon, NBC, ABC, CBS, HBO, Showtime, Kraft, McDonald's, Sprite, Coca Cola, Starburst Fruit Chews, Barbie, G.I. 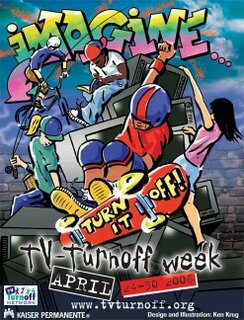 Joe, Nintendo, X-box, Nabisco, Burger King, KFC, Pepsi, Minute Maid, Kool Aid, Channel One, or even ... PBS. Last week, the U.S. House of Representatives approved a controversial bill—backed by the food industry and supported by several key lawmakers whose family members or close friends are food-industry lobbyists—which would wipe out more than 200 state laws that mandate local inspections and require safety labels on food products to warn consumers about everything from mercury in fish to pesticides in vegetables. The bill would establish a weaker national standard that many state officials believe would undermine public health. Besides the provisions of the bill itself, what is fueling the current controversy is the discovery of close personal ties between several House members and key food-industry lobbyists. According to reports filed with Congress and brought to light by the Associated Press, lobbyists for the bill include Abigail Blunt, the wife of House Majority Whip Roy Blunt, R-Mo., who works for Altria, the parent company of Kraft Foods, two formers staffers to House Majority Leader John Boehner, R-Ohio, and Brad Card, brother of White House Chief of Staff Andrew Card and former chief aide to Rep. John Sweeney, R-N.Y. Brad Card has lobbied on these issues for the Food Products Association, which is headed by former Democratic congressman Cal Dooley of California. Mason Wiggins, one of the former Boehner staffers, also lobbies for the Food Products Association. The other former Boehner staffer, Brenda Reese, is a lobbyist for the American Beverage Association. Thanks to Margaret Wilde (mom) for the link suggestion. Following on an earlier post about a food safety scholar/performer, and several earlier posts about program evaluation theory for U.S. food programs, this song is so funny I had to listen to it twice: Terry Smutylo's Output Outcome Downstream Impact Blues (recorded June 2004). The blues singer is, by day, a scholar who argues for "outcomes" studies in place of "impact" analysis. The distinction is that project funders want "impact" analyses to prove the value of their funding, while Smutylo argues it is more realistic to study the "outcome" of an agenda without attempting in vain to prove scientifically the impact of any particular program. Smutylo's book is called Outcome Mapping. 1. I razzed Chico, a discussant in an online forum, for quoting a misleading interpretation of the number of people who are hungry in America. The statistic 38 million correctly refers to the number of Americans who live in households classified by USDA as experiencing, at some time during 12 months, "food insecurity" -- a condition of food-related hardship that is milder than what most people would describe as "hunger." It turned out Chico had read an exaggerated definition of this statistic several posts earlier on U.S. Food Policy, in an otherwise-sensible quotation from the national anti-hunger group, the Food Research and Action Center. My apologies to Chico! 2. In the body of a recent post, I described the State laws that are under threat from recent legislative action in the House as addressing "food safety labeling" issues (by which I meant fairly mild rules that provide consumers with improved food label information about food safety issues, so that the consumer can make an informed decision). While many of the State rules in question have that character, others are more direct food safety regulations (having nothing to do with labeling). The comment spam finally got the better of me. I have set the default to include no comments, and will add back the comment feature only on posts that I think may generate especially interesting discussion. This may be all for the best -- readers may be more likely to read and respond to each other's comments if the commenting opportunities are less frequent and more concentrated. I have seen this use of comments work well on other weblogs. WASHINGTON -- The U.S. Department of Agriculture is investigating a possible case of mad cow disease, the agency's chief veterinarian said Saturday. A routine test indicated the possible presence of mad cow disease, John Clifford said. The USDA would not say where the animal was from. The cow did not enter the human or animal food chain, Clifford said. The department is conducting more detailed tests at its laboratory in Ames, Iowa, and should have results in four to seven days. "This inconclusive result does not mean we have found a new case of BSE," Clifford said, giving the abbreviation for the disease's formal name, bovine spongiform encephalopathy. With 38 million Americans living in hunger or on the edge of hunger, states, cities, food banks, religious groups and other community-based non-profits are already struggling to meet the needs. I couldn't believe the 38 million figure came from U.S. Food Policy... and it appears it didn't. [3/12/2006: See the humbling correction. It did indeed come from this weblog.] My post on the Second Harvest report cited the estimate of how many Americans receive emergency food. These estimates were initially produced by the reputable consulting firm, Mathematica Policy Research, Inc. Recent government data indicate that at least 13.5 million households in the United States (11.9% of all households) were food insecure in 2004, of which 4.4 million (3.9% of all U.S. households) had experienced hunger at some point in that year. The food insecure households contained an estimated 38 million people, of whom almost 14 million were children. 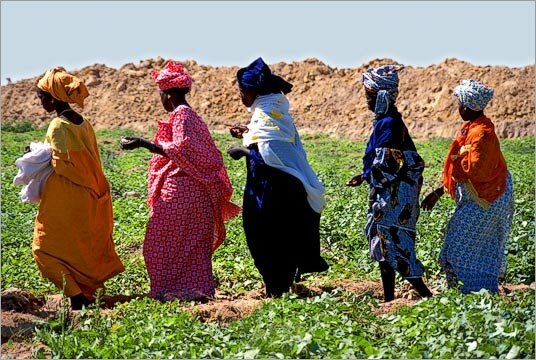 The existence of large numbers of people without secure access to adequate nutritious food represents a serious national concern. Please let me know if you can find the source of the exaggerated description of the meaning of the 38 million people statistic. If it comes from Second Harvest, I am sure they will be glad to edit it, since it is clear above that they are making such a strong effort to provide accurate statistics, and accurate explanations of the statistics. USDA's Food Safety and Inspection Service (FSIS) announced on Monday that it is proposing to publicize the names of food retailers whose food products are the subject of a food safety recall. Until now, the agency has published the name of the manufacturer that produced a contaminated food product, but not the name of the groceries where the product was sold. "We believe that publishing a list of retail establishments that have received products subject to recall will help consumers more easily determine if they purchased recalled product," said USDA Under Secretary for Food Safety Dr. Richard Raymond. The proposed rule could improve the effectiveness of the market economy in protecting consumers from foodborne illness and other hazards. Because retailers could suffer economic hardship from food recalls, even if the food safety issue is the fault of a food manufacturer, the retailers may press manufacturers to guarantee the safety of the food. Under this rule, the market incentive to provide a safe product may be strengthened, easing the current strains on government regulatory efforts to ensure safe food. The text of the proposed rule notes that food manufacturers generally do not want competitors to know their list of clients. Under the proposed system, the manufacturer's retailers would "generally" be identified using USDA records, rather than the manufacturer's own files. The list of retailers would be published on a USDA website. Especially with the qualification "generally," this proposal is likely to make manufacturers nervous and yet further increase their incentive to provide a safe product. Food manufacturers may oppose this proposed rule. Their voice will be strongly heard in the process of formal comments on the proposal. If you would like your own view to be heard, submit comments on the proposed rule to the FSIS email address: fsis.regulationscomments @ fsis.usda.gov. In the email, refer clearly to the agency name (Food Safety Inspection Service) and to "docket number 04-006P." Comments will be posted to an FSIS website. The Center for Science in the Public Interest (CSPI), a consumer group, hailed USDA's proposed rule as an important advance. CSPI had campaigned for just such a rule in 2004, and had also asked that USDA be given authority to order food safety recalls. Currently, USDA can request voluntary compliance with a recall, and to date no companies have ever refused such a request. Farmadeliphication (fahr'muh'deli'fi'kay'shun), n. 1. 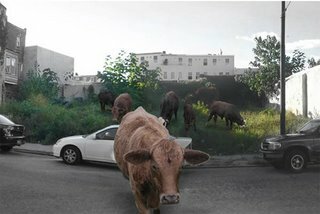 The process of turning all of Philadelphia's vacant and abandoned lots into urban farms: The 'Farmadeliphication' of once decrepit buildings into farm structures advances fresh ways of seeing old structures as well as allowing for an organic transformation of history that contributes to the present day fabric. 2. What might happen if the Front Studio team's entry to the Urban Voids competition moves beyond the conceptual stage. Farmadelphia proposes a break down of the divisions between ecology and the built environment - a pretty standard mission among urban revitalization advocates these days. But Front's vision doesn't merely sprinkle a community garden here and there; they want to Farmadelphify the whole city. 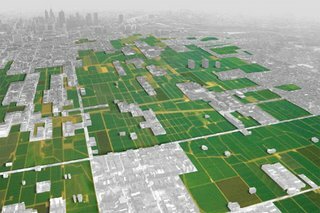 In this scenario, vacant lots around Philadelphia would be converted into agricultural plots, and the abandoned buildings that occupy many of those sites would stay put, only they'd become useful again in the context of the farm. As a community renewal effort, Farmadelphia would bring people together around both the labor and the rewards of having productive crops growing in the neighborhood. The farms would establish employment opportunities and encourage entrepreneurship among citizens who might want to sell their harvest to groceries or restaurants. Of course, this would also increase the availability and affordability of fresh, local produce all over the city - what's better than gathering your own greens at dinner time or picking an apple on the way home? The subtitle for inhabit is "future-forward design for the world you inhabit." Thanks to Sarah Rich for permission and Jack from Fork & Bottle for the link suggestion. Reject Multi-Year Caps in Key Discretionary Programs. The Administration's proposal to set binding caps on discretionary programs that do not allow for inflation or population growth will shrink programs more each year -- with a 4 percent cut in FY2007 tripling to a 13 percent cut in FY 2011. Reject Another Round of Budget Reconciliation. It would exacerbate the harm to low-income families made in the FY 2006 Reconciliation Bill. The FY2006 Reconciliation bill cut $39 billion from entitlement programs. Low-income families will be hard pressed to cope with the deep cuts already made in Medicaid, student loans, child support enforcement, child care, foster care, disability assistance and other essential programs. Don’t Shift Costs to States, Charities and Families. With 38 million Americans living in hunger or on the edge of hunger, states, cities, food banks, religious groups and other community-based non-profits are already struggling to meet the needs. Don’t add to those burdens by federal program cuts. Meanwhile, the clever folks at the Center on Budget and Policy Priorities put several public documents together -- including some documents that the administration apparently released in error -- to paint a clearer picture of the proposed budget's real implications in the out years. The President’s budget proposes substantial cuts in funding for domestic discretionary programs over the next five years. The budget specifies the funding level for each program in 2007, but the levels for specific programs for years after 2007 — the years in which the overall level of reductions in domestic discretionary programs would grow substantially — are hard to discern from the budget documents the Administration released publicly. This analysis uses Administration materials that were not widely distributed — including a key Office of Management and Budget (OMB) computer run that apparently was released inadvertently — to show the multi-year impact of the proposed cuts on a number of important domestic discretionary programs. This analysis also examines the effect that the cuts in funding for domestic programs the President has proposed for 2007 through 2011 would have state by state. Many domestic programs have long been operated efficiently through a system of grants-in-aid to state and local governments. Nearly half of the overall reduction in domestic discretionary funding proposed by the President for 2007 would come from such grants-in-aid. Implementing these reductions would force states to reduce the services they provide or increase their own taxes to make up for the federal costs being shifted to them. This analysis shows how proposed cuts in selected programs would affect individual states. The submission of the President's budget proposal starts the annual cycle of budget debate in Congress. The budget committees must pass a version of the budget that satisfies Congress. For any cuts to "mandatory programs" -- including entitlement programs like food stamps -- the authorizing committees must approve the cuts. For any cuts to "discretionary programs" -- including WIC -- the appropriations committees may be the main locus of debate. 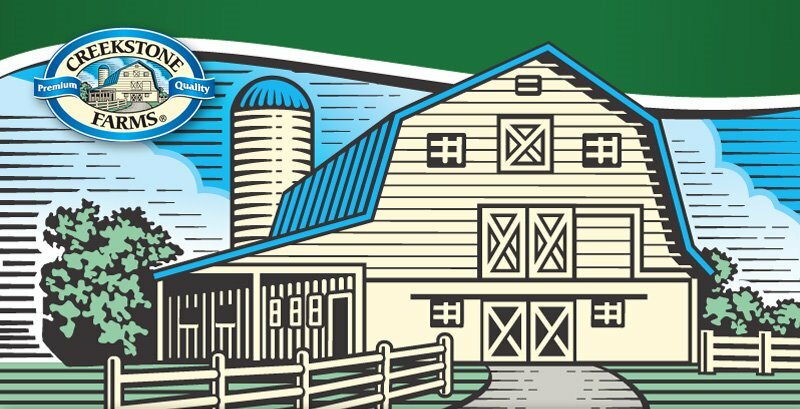 In recent years, the federal government has demonstrated little stomach for serious efforts to improve food safety. So, state governments have taken up the slack and passed a number of policies -- not so much to regulate food safety -- but just to require food companies to inform consumers about food safety hazards [3/12/2006: This introduction to the post does not get the story quite right. See correction]. After all, only informed consumers can steer the market economy down the road toward the public good. This week, however, the federal government's House of Representatives finally roused itself from its slumber, and decided to take action -- to seek to overturn state-level food safety labeling rules. See the Associated Press, Reuters, and New York Times. In a nutshell: a bill that effectively wipes out more than 200 food safety and labeling rules in 50 states has suddenly started to move, after having been dormant for ages. There have been no hearings, and hardly any public debate. The potential consequences, of course, are huge. People concerned about the bill can contact their lawmakers at NRDC’s action site.